Langneset Where the equatorial water of the gulf stream meets the arctic circle, amidst the Troll-mountains of the Helgeland coastline, lies Langneset resort. A place of breathtaking beauty, clear water and fresh air. Here the halibut still rules the ocean depths and the white-tailed sea eagle glides in the sky during the day and the eagle-owl owns the night. 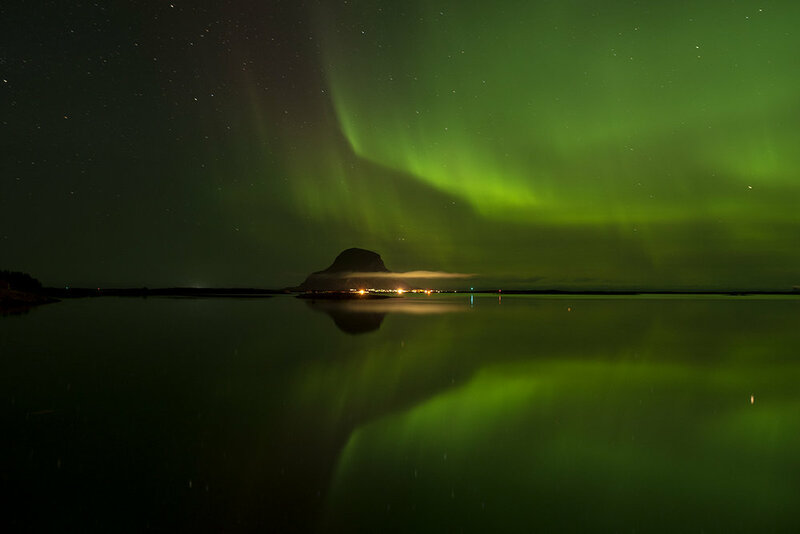 We welcome you to discover the amazing magic of the northern lights in the winter, the shine of the midnight sun in the summer and really feel the presence of mighty nature on this unspoiled part of our planet. At Langneset we will accommodate you in the traditional Nordland-house, both with a stunning ocean view of the islands of Træna and Lovund. Let the kids have fun at the playground or go fishing for crabs from the dock. We have life vests to keep them safe. Or take the whole family for a bike trip around the island. After a day of activities and discovery, we invite you to visit the sauna, take a refreshing dip in the sea and submerge your body in the wood fired, sea water hot tub to rejuvenate yourself. If you like to play golf it is possible at Sleneset Golfpark.